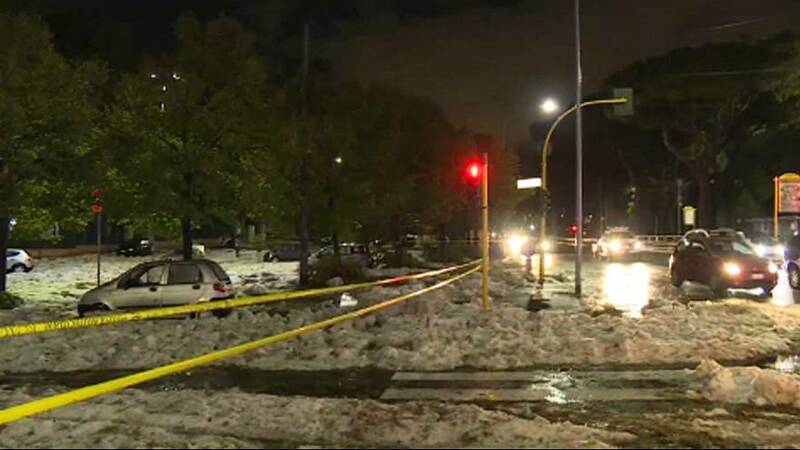 After warm summer-like days in September and during the first half of October, an unprecedented hailstorm hit Rome on Sunday evening. It was particularly heavy in the eastern part of the Italian capital where hail covered some roads as it were snow, causing much disruptions to local traffic. Some motorists were forced to abandon their cars as they became submerged following the deluge. According to local news reports, the San Sebastiano Basilica, was flooded with up to half a metre of water. Five metro stations on the city’s A and B lines were closed because of flooding and the Mayor of Rome is quoted as saying that emergency crews had worked throughout the night to try to bring the situation back to normal.